Then this summer I had an idea. If we planted lettuces in window boxes then surely nothing would be able to reach them? 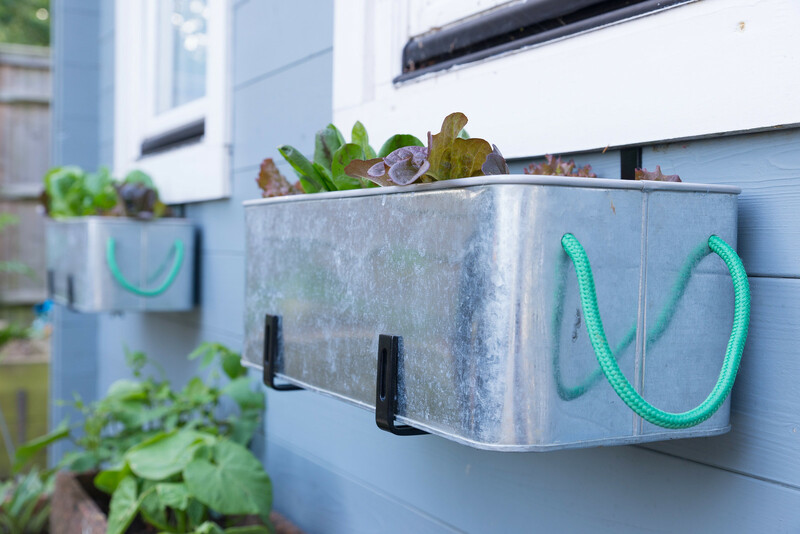 Our galvanised steel window boxes were gifted to us by Habitat. They are perfect for our coastal location as they are both contemporary and weather proof. They don’t have any drainage holes and initially I was worried the lettuces might become waterlogged, but as we were hanging them under the overhang of the cabin roof we thought they were unlikely to get too sodden. We planted the first window box two weeks ago and it has grown at an astonishing rate… with no interference from rabbits! I was fixated on saving the plants from the rabbits and what I hadn’t anticipated was that they wouldn’t be interferred with by any slugs either, so all the leaves are in perfect condition too without a mark on them. 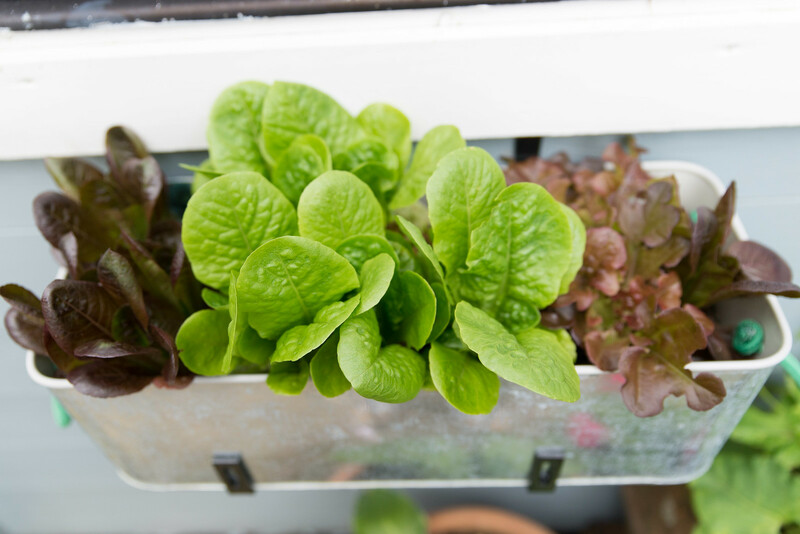 Who knew that lettuces love window boxes so much? If you have been defeated by rabbits until now, don’t give up! These Holt window boxes are actually in the Habitat sale at the moment reduced from £35 to only £10.50 (A wet summer does have some advantages and good discounts on garden stuff is one of them!) we might get another one for growing herbs by the kitchen! I grow some salad in window boxes inside in our conservatory. There are a couple of months when it’s a bit cold, but I get a longer season that way and as you say no slugs or other pests. 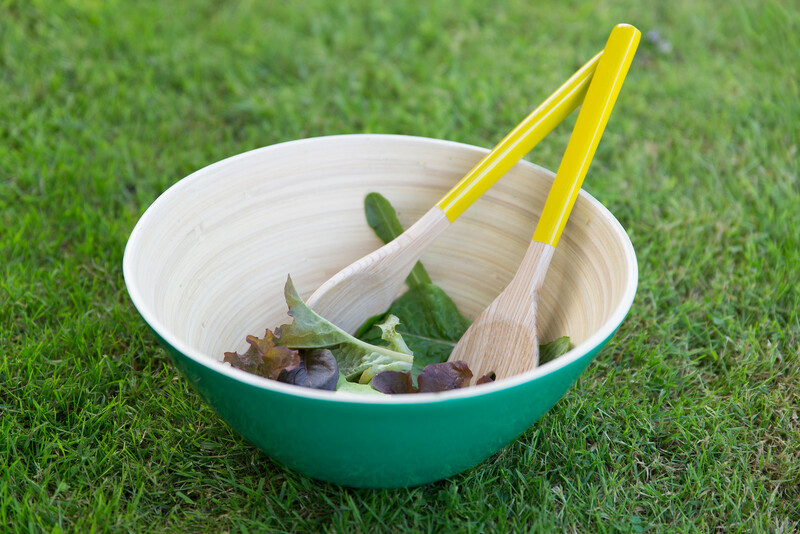 Lovely looking salad (and dinner!). We haven’t grown any salad this year because I don’t think it would stand a chance against the slugs. Love these window boxes! With so many slugs this year this is the perfect solution, it looks pretty too and I think I might have to give it a go now. I love salad and this is so much better than the pre washed stuff you get at the supermarket i’m sure.